Podranea ricasoliana (Pink Trumpet Vine) - Richard Lyons Nursery, Inc.
One of the hardiest of vines introduced to the United States is Podranea ricasoliana, the Pink Trumpet Vine. 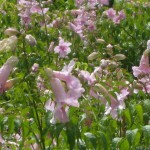 During the fall, winter and spring it bears fragrant pale pink, bell-shaped flowers highlighted by red stripes. The glossy foliage is also attractive. 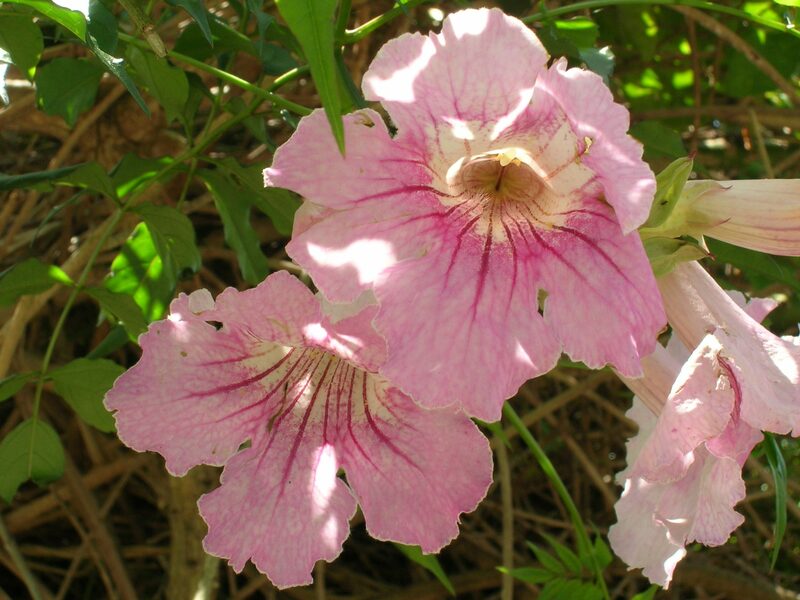 The plant is one of the Bignoniaceae family, which also includes the Jacaranda Tree. The vine is thought to be native to the eastern coast of South Africa, but some botanists believe that it may have been introduced there by merchants. When left to its own devices, the plant can reach 16-20 ft. high and wide, but is very amenable to hard pruning following flowering. In fact, annual pruning also serves to proliferate flowering the next time around. It can be left as a ground cover or mounted to a trellis, pergola or chain link fence. 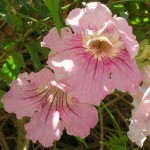 Since this species does not produce tendrils, it may be tied to its support in whatever arrangement the grower favors. 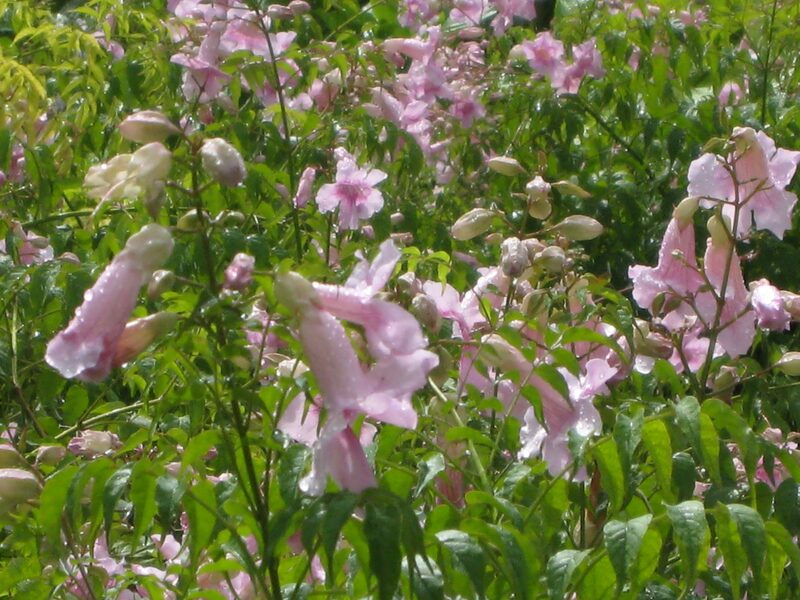 The Pink Trumpet Vine is hardy throughout Florida and in parts of Texas, Arizona and California, proof of its resistance to both heat and cold. Frost may nip leaf tips, but regrowth is vigorous. The vine favors good drainage, and regular composting will help it thrive by lowering soil pH. P. ricasoliana is available at the nursery in 3-gallon containers.